1694-6 Nathaniel Rawlings, a member of the Haberdashers' Company, consolidated an estate of 3 acres between Red Lion St and the Vineyard on which he built Clarence house. 1696 Nathaniel Rawlings fined by Richmond Vestry for diverting the footpath bordering his garden to give himself a better forecourt. This is why there is still a bend in Patten Alley. 1718 Death of N Rawlings and the house passed to Elizabeth, his daughter, wife of William Hall. 1720 She sold it to Isabella Nash in 1720 who later sold it to Elizabeth Arbor, a widow of Westminster. Acting for Mrs Nash was a certain John Patten. 1745 J ohn Patten - then described as “of the Parish of St George’s, Hanover Square, Gentleman” – bought the property from Mrs Arbor. On John's death, the property passed to his widow, Ann Patten. From the evidence of the Richmond Rate Books, the Patten’s appear to have leased Clarence House to William Black. They had lived in The Rosary in Ormond Road, which was part of their estate, since 1749 but by 1754 Ann Patten had moved into Clarence House following her husband’s death. She lived there – or at least she paid the rates – until her death in 1771. In 1762 Ann Patten had surrendered to the Church a piece of land at the northern end of her estate at the junction of Ormond Road and the path. Although the Patten’s owned the land over which the path crossed for some 25 years, later owners held the property for as long, or longer, than the Patten’s but their religious benevolence seems to have secured for them the long term naming rights to Patten Alley. The cutting in the Local studies collection says: 'Mr Ross has accommodated His Royal Highness (The Duke of Clarence) with his house at Richmond, in consequence of the above incident'. The incident was a fire at Cardigan House, the Duke's previous residence. The house has been known as Clarence House ever since though Clarence himself was probably only there a few weeks. 1793-1799 approx Mr Timothy Eeles ran a Catholic School at Clarence House. See the advertisement for the school that first appeared in the semi-official Catholic Annual, Laity Directory. 1795-1798 Bernardo O'Higgins (1778-1842) was the illegitimate son of Ambrosio O'Higgins, a Spanish officer born in County Sligo ,Ireland , who became governor of Chile and later Viceroy of Peru. His mother was Isobel Riquelme whose family name he used until his father's death in 1801. Aged 17, he was despatched by his father from Chile to continue his education in England. Hence the Blue Plaque to celebrate his living at Clarence House. 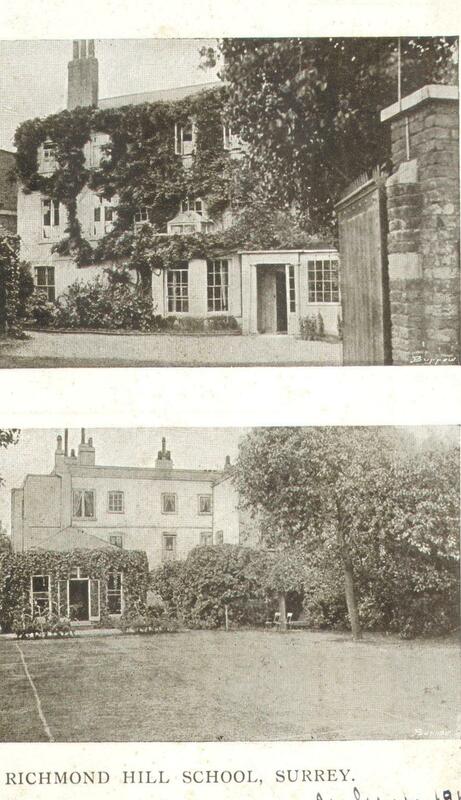 1805 Rev Edward Patterson bought Clarence House from Mrs Ross who had inherited it on the death of her husband. He also owned the adjoining land. 1821 Miss Elizabeth Doughty bought both the house and the adjoining land. 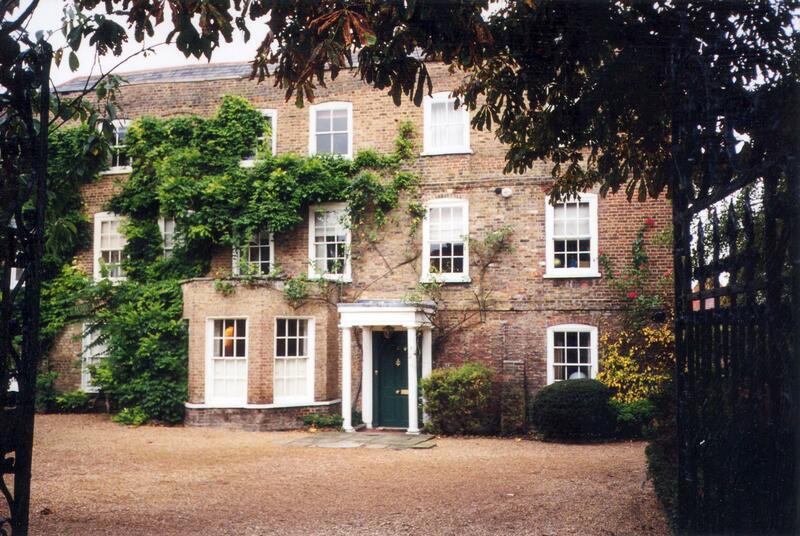 1822 Miss Doughty sold Clarence House less a strip 6t x 148 ft to Boxell Eling, the Richmond stationer. 1851 Census shows a school run by Janet Blyth, with staff and 19 girl. 1861 Census: Janet Blyth and 2 teachers had 20 girl pupils. 1871 Census: Janet Blyth and 3 'governesses' had 17 girl pupils. 1881 Census: Elizabeth Hunt now headmistress with 2 teachers, 1 governess and 6 girl boarders. 1891 Census: Now a private household with 3 joint heads of the household, a cousin and 5 servants. 1901 Census: Frederick Whitbread, schoolmaster, had a boys' school with 3 other masters and 7 boarders. 1911 Census: Frederick J Whitbread, Schoolmaster, his wife, 3 masters, 3 servants and 16 boarders. 1943 Plan for Fortnum & Mason, currently using the site as a storage facility for the duration of the war, to demolish existing buildings and eract new ones. This to be done at the cessation of hostilities. The new buildings are to be used as a bakery, chocolate manufactory, store, tailoring shop and rooms for packing tea and coffee. Just thought you might like some additional info on Clarence House where I lived as a very young boy for a few years in the early 1950's. My family resided on the top floor and we shared the house with close family friends: an honorary aunt named Mrs. Noelle Ommanney and her husband Captain 'Pat' Ommanney (RN), who I believe were the owners at that time. They lived on the middle floor and Mrs Ommanney's mother and brother (surnames: Shelford) lived on the ground floor. As I recall the Mrs. Ommanney (who died some 30+ years ago) sold the house in the 1960's, though whether this was to Brian Blessed I cannot say. 1967 Bought by the actor Brian Blessed for £25000.